Anderson’s innovative guitar work has long fortified his reputation as one of Nashville’s finest tunesmiths. “Big Al” entered consciousness with rock fans long before he popped up on country charts. The 63-year-old started with the The Wildweeds (1967’s “No Good to Cry”) and for nearly a quarter century fueled the beloved cult band NRBQ. The Windsor, Connecticut native has penned endlessly catchy hits for The Mavericks (“All You Ever Do Is Bring Me Down”), LeAnn Rimes (“Big Deal”), Diamond Rio (“Unbelievable”) and Carlene Carter (“Every Little Thing”). Consider his broad scope: For every song covered by Charlie Daniels (“Gone For Real”) and Tim McGraw (“The Cowboy in Me”), Anderson has matched it with others by Jimmy Buffett (“License to Chill”) and The Allman Brothers (“Ain’t No Good to Cry”). In 1993, Musician magazine recognized him as one of the century’s Top 100 guitarists and in 2000 Anderson earned the BMI Writer of the Year award. At 44, youngest Headliner Shawn Camp already has made his own significant impact on mainstream country charts. The Arkansas native has earned wide respect as the top-tier penman behind #1 Billboard hits for George Strait (“River of Love”), Josh Turner (“Would You Go With Me”) and Brooks and Dunn (“How Long Gone”), in addition to the Brooks smash “Two Pina Coladas.” Camp frequently splits pages with legendary tunesmiths like Guy Clark (“Sis Draper,” “Magnolia Wind”) and Jim Lauderdale (“Forever Ain’t No Trouble Now). A true artist, Camp’s previous solo albums – including 1993’s Shawn Camp, 2004’s Live at the Station Inn and Fireball in 2006 – consistently have turned heads. The accomplished instrumentalist, who has accompanied luminaries including the Osborne Brothers and John Prine, frequently backs seamless lyrics with his fiery fiddle, guitar and mandolin riffs. Enigmatic singer-songwriter and guitarist Pat McLaughlin has spent a lifetime chasing paralleling grooves. In 1988 McLaughlin released his first rock outing on Capitol Records by Crowded House’s producer Mitchell Froom. That same year he found his first significant mainstream country music success when Steve Wariner’s take on his song “Lynda” climbed to the top of the charts, winning the songwriter his first BMI Country Award. Four years later, Tanya Tucker and Delbert McClinton helped score McLaughlin an additional BMI award with “Tell Me About It.” In the late-90s, McLaughlin formed the group Tiny Town with Subdudes singer Tommy Malone. Gary Allan’s recording of McLaughlin’s “Songs About Rain” earned him yet another BMI award. In addition, several blues, country and folk greats such as Bonnie Raitt, Alan Jackson, Taj Mahal, Trisha Yearwood, Al Kooper and Nanci Griffith have cut his songs. Such fluidity earned McLaughlin, an in-demand studio musician for Rosanne Cash, Neil Diamond, Julie Roberts and many others, a career-highlight seat playing acoustic guitar during country legend Johnny Cash’s final recording session. 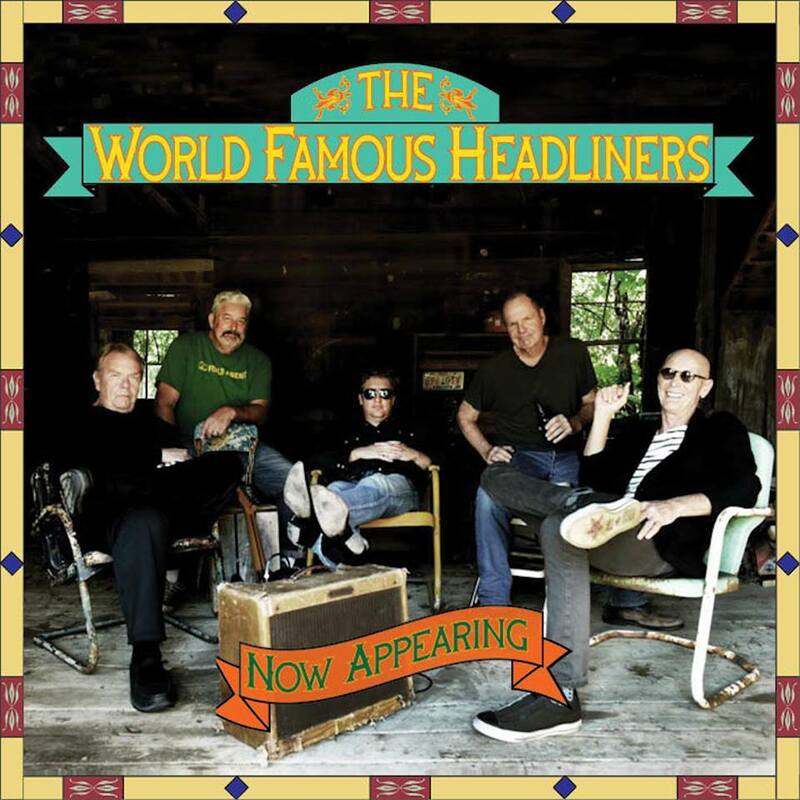 Rounding out the The World Famous Headliners members are veteran musicians Michael Rhodes on bass (John Fogerty, JJ Cale, Joss Stone, Bob Seger), and drummer Greg Morrow (Joe Cocker, Johnny Cash, Dixie Chicks). 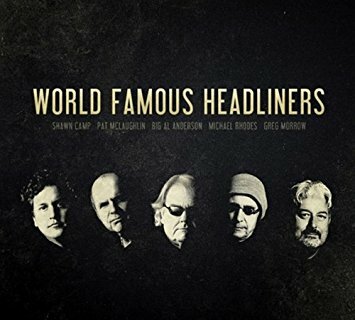 The World Famous Headliners debut album with producer Justin Niebank (Eric Clapton, James Cotton Blues Band, Peter Frampton, Patty Loveless, George Strait, Keith Urban) was released by Big Yellow Dog Music in 2012.